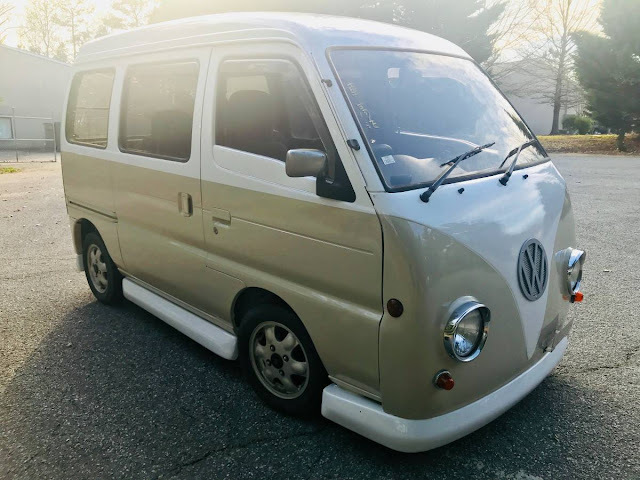 The VW Bus wasn't a huge vehicle, but it certainly wouldn't have qualified for Japan's Kei car laws...but that didn't stop this next customizer from building what should have been a factory thing. Find this 1992 Suzuki Every offered for $8495 in Atlanta via Seattle Craigslist. Tip from Rock On! For sale is an imported Kei van from Japan. Kei vehicles are tiny cars with engines 660cc and primarily only for Japanese domestic market. It is a Suzuki Every with a custom VW body kit, has RWD, automatic transmission, A/C, power steering, power locks and windows, and roughly 73k miles (118xxx kms). Vehicle is an absolute blast to drive, gets attention from EVERYONE, and a true collectors item. 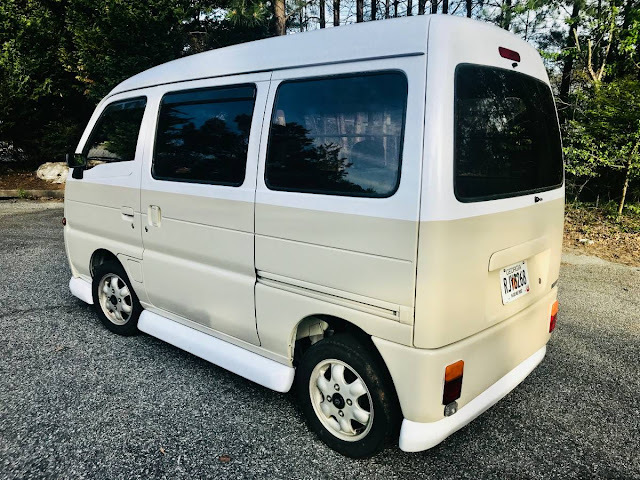 Vehicle available for test drive in North Atlanta Metro area (airport very close and I can pick you up), or vehicle shipping to anywhere in continental US. California residents, please consult your local registration laws before purchase. Vehicle comes with clean Georgia title in my name. Vehicle is an import and has a shortened VIN. It's DE51V-567657 and noted in a picture. Thanks! This thing is awesome, I bet you couldn't drive it without getting comments every time! It also looks like you would need a strategic plan for speed-bumps.